Monarchs are clearly moving into Cape May today, though still in just modest numbers, but our census numbers are higher than they have been all season. We suspect some small roosts will develop around Cape May Point this evening, with the Stites Ave. site (see previous posts for details) a good first place to check. 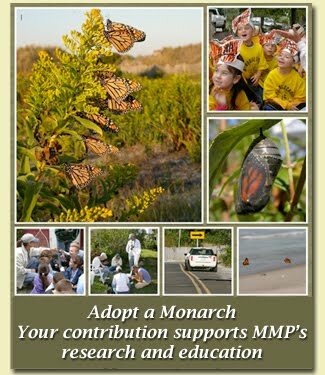 Let's hope this is just the beginning of a big movement of monarchs onto the Cape! Any update on the monarch roosting/migration?